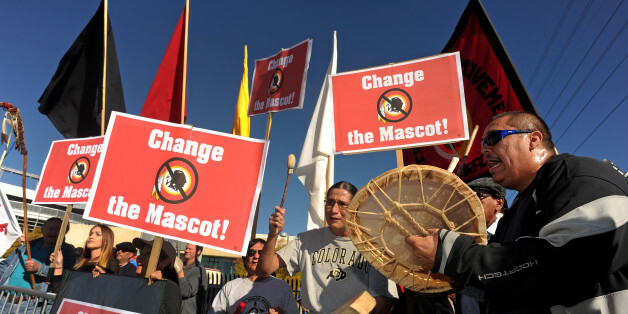 I have no idea exactly what percentage of Native Americans approve or disapprove of these mascots and nicknames. But I can guarantee something else with even greater certainty: neither does the Washington Post. They're asking CBS to commit now, just in case. For the myriad businesses that work with the NFL, Adidas has shown that corporate partners do not need to be neutral when it comes to moral issues. They can support those working toward a simple goal: to stop the promotion of a dictionary-defined racial slur against Native Americans. "It's important to create a climate that feels open to everyone who wants to compete." "It’s still a slap in the face every time." "This issue is not going away." Four high schools would have to choose a new mascot under legislation passed Thursday. The Indian National Finals Rodeo is the latest organization to reject money from the Washington team's charitable arm. Indiana's Goshen High School became the latest to ditch the controversial mascot last week. The Washington team's inappropriate response is unfortunately consistent with the "playbook" that the Washington team and NFL continues to use to defend the offensive and harmful team name and logo of the Washington team.